Google is set to implement additional measures that will help to identify and to remove violent extremist or terrorist content in YouTube its highly popular platform for video sharing, said the company late Sunday in one of its blog posts. Google announced that it would be taking a tougher stance on the videos its platform has that contain inflammatory religious or supremacist content through first issuing warnings and not recommending or monetizing them for endorsements, even if the videos are not clearly in violation of its policies. The company is also employing more resources from engineering and will increase the use of technology to help in the identifying of extremist videos, as well as training its new content classifiers so they can quickly identify as well as remove the content. While Google and others have been working years to identify then remove all content that is in violation of policies, the sad truth is that the industry must admit that more must be done and now, said Kent Walker general counsel for Google. 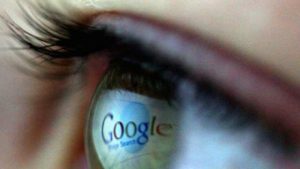 Google will be expanding its collaboration with groups that specialize in counter extremists to help identify the content that might be used to recruit and radicalize extremists, said the company in its blog post. The company will reach potential recruits to the Islamic State through targeted advertising online and redirect them to videos that are anti-terrorist in an attempt to change their opinions over joining. Britain, France and Germany, countries where people have been murdered and wounded in shootings and bombings by militants over the past few years, have pressured Facebook as well as other social media providers like Twitter and Google to do more in removing content considered militant as well as hate speech. Late last week Facebook gave more insight on efforts it is making to remove content involving terrorism, a response to the pressure across Europe from politicians to militant groups that us the social media giant and other social media networks for recruiting and furthering its propaganda. Facebook ramped up its use of artificial intelligence including such things as language understanding and image matching to help identify and to remove content as quickly as possible, said the company in one of its blog posts. With the highly popular social media networks worldwide, terrorists have found ways to reach potential recruits without leaving their hideouts and governments hope to lessen that with the help of the same social media networks.